Every nation in history–-whether a democracy or a dictatorship, whether capitalist, socialist or communist–-has understood the absolute necessity for collecting public revenues. And it has created means by which to do so. We should, in short, celebrate those who come to the United States to make fortunes they could not make anywhere else–-and then, when they do, turn their backs on their adopted country. The new elites flourish through enterprises that operate across international borders. The rich in America have more in common with the fellows in Europe or Asia than with the vast majority of their fellow Americans who don’t share their comfortable surroundings. Thus, the privileged class in America–-the top 1%–has separated itself from the crumbling public services and industrial cities that are used and lived in by the rest of the country’s citizens. It’s time to protect the 99% of America’s citizens against the predations of its 1% wealthiest. And America’s fascist Right couldn’t have been happier. According to Limbaugh’s philosophy, the bottom 80% of the popularion owning 15% of the country’s wealth should pay homage to the top 20% of Americans who own 85% of the country’s wealth. Of course, this is to be expected of Limbaugh—whose own wealth makes him a multi-millionaire. In 2001, U.S. News & World Report noted that Limbaugh had an eight-year contract, with Clear Channel Communications, for $31.25 million a year. 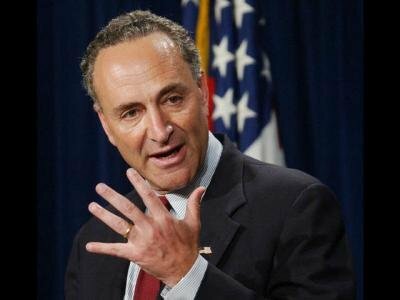 Their “Ex-PATRIOT Act” would impose a mandatory 30% tax on American investments for those who renounce their citizenship and would also prohibit individuals like Saverin from re-entering the country. 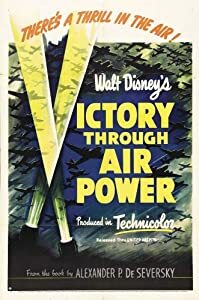 Victory Through Air Power is a 1943 Walt Disney animated Technocolor feature film released during World War II. It’s based on the book–of the same title–by Alexander P. de Seversky. On June 6, 1944–D-Day–the Allies launched their invasion of Nazi-occupied France. The operation was the largest amphibious invasion in history. More than 160,000 troops landed–73,000 Americans, 61,715 British and 21,400 Canadians. Then, starting in 1964, the theory of “Victory Through Air Power” once again proved a dud–in Vietnam. Air Force General Curtis E. LeMay said, “We should bomb Vietnam back into the Stone Age.” And the bombers under his command did their best to achieve this. From 1964 to 1975, 7 million tons of bombs were dropped on Vietnam, Laos, and Cambodia–more than twice the amount of bombs dropped on Europe and Asia in World War II. The belief that victory could be achieved primarily–if not entirely–through air power had another unforeseen result during the Vietnam war. It gradually sucked the United States ever deeper into the conflict. So more American troops were needed–to guard the guards. Now, with forces of the Islamic State of Iraq and Syria (ISIS) launching a blitzkreig throughout Iraq, President Barack Obama seems to have caught the “Victory Through Airpower” disease. As a result, since September, 2014, he has ordered massive bombing of ISIS targets in Iraq and Syria. Yet that has not altered the balance of power in Iraq. “Now, there are 60 nations in this coalition. I haven’t seen people lining up to join this fight. I mean, in a proxy war, you are dependent upon your proxies. And the Iraqis turn out to be not particularly engaged, divided, not unified, not committed the same way…. “Get tough, get tough, swagger. [Senator] Lindsey Graham wants to put in [10,000 troops]…. “George Pataki said, put in as many as you need, and kill everybody you can and get out. Now, getting out, I think, was the question and it remains the dilemma to this moment. Once again, the United States has bought into the lie of “victory through air power.” And, as a result, the nation stands poised to once again sacrifice billions of dollars and thousands of lives in a worthless cause. The relationship between the United States and Iraq has become dangerously similar to the one that existed between America and South Vietnam from 1955 to 1973. Diem was a Catholic mandarin who was alienated from an overwhelmingly poor, 95% Buddhist country. The Shiite-dominated government of Iraq refuses to grant political concessions to alienated Sunnis. Diem’s authority didn’t extend far beyond Saigon. The Iraqi government controls little outside of Baghdad. Diem didn’t believe in democracy–despite American claims to support his efforts to bring it to Vietnam. Neither does the government in Baghdad. Diem was widely regarded in Vietnam as an illegitimate leader, imposed by the Americans. Ditto for the leaders of the Iraqi government. American soldiers were sent to Vietnam because America feared Communism. American soldiers have were sent to Iraq because America fears Islamic terrorism. American troops were ordered to train the South Vietnamese army to defend themselves against Communism. American troops were ordered to train the Iraqi army to defend themselves against terrorism. Americans quickly determined that the South Vietnamese army was worthless–and decided to fight the Vietcong in its place. Americans–such as Secretary of Defense Ash Carter–have determined that the Iraqi army is worthless. Yet many Americans on the Right believe the United States should commit American ground troops to fight ISIS in its place. The Vietcong and North Vietnamese Army (NVA) fought to unify their country–and posed no threat to the United States. ISIS is warring on Shiite Muslims–and poses no direct threat to the United States. The far Right embraced the Vietnam war to assert American power in Asia. The far Right embraces the Iraqi war to assert American power in the Middle East. Americans entered Vietnam without an exit strategy. Americans entered Iraq without an exit strategy. The United States’ relationship with Diem ended on November 1, 1963. A coup led by generals of the South Vietnamese army ousted–and murdered–Diem. But America continued to support successive and incompetent South Vietnamese dictatorships up to the end of the war in 1973. Americans have been at war with Islamic expansionists since 2001. But Republicans and their Rightist supporters want more of the same. “Rick Perry has said–wants boots on the ground. Other Republicans have said they want boots on the ground, but they don’t necessarily have to be American boots. They should be Arab boots. “[Republicans are saying] Get tough, get tough, swagger; 10,000 troops…. “The highest [priority for medical treatment] was any U.S. person. “The second highest was a U.S. dog from the canine corps. “The third was NVA [North Vietnamese Army]. “The fourth was VC [Viet Cong]. While Islamic nations like Syria and Iraq wage war within their own borders, they will lack the resources–and incentive–to attack the United States. Every dead Hezbollah, ISIS and Al-Qaeda member makes the United States that much safer. From 1965 until 1973, the United States lent its full military power to aiding the dictatorship of South Vietnam against the dictatorship of North Vietnam. Despite this, veterans of combat with the North Vietnamese Army showed far more respect for their hard-core enemies than their supposedly staunch South Vietnamese allies. Consider the following examples, taken from the screenplay of Stanley Kubrick’s classic 1987 film, Full Metal Jacket. The movie is largely based on Dispatches, the Vietnam memoirs of Michael Herr, a war correspondent for Esquire magazine (1967-1969). He lifts a hat, which is covering the face of a dead man–and reveals the face, not of an American, but of a North Vietnamese soldier. “This is his party. He’s the guest of honor. Today is his birthday. I will never forget this day. The day I came to Hue City and fought one million N.V.A. [North Vietnamese Army] gooks. “I love the little Commie bastards, man, I really do. These enemy grunts are as hard as slant-eyed drill instructors. These people we wasted here today are the finest human beings we will ever know. A reporter for a TV news crew is interviewing Marines during a lull in the fighting for the city of Hue. Haggling with a South Vietnamese pimp over the cost of a prostitute’s wares, a Marine recites a joke popular among American forces: “Be glad to trade you some ARVN rifles. Never been fired and only dropped once” [by retreating South Vietnamese forces]. Now, fast-forward from Vietnam in 1968 to Iraq in 2015. On May 25, Secretary of Defense Ash Carter bluntly accused the army of Iraq of lacking the will to stand up to its enemies in the Islamic State of Iraq and Syria (ISIS). On May 17, the Iraqi city of Ramadi fell to ISIS after the Iraqi army deserted the citizens counting on its protection. “What apparently happened is that the Iraqi forces showed no will to fight. They were not outnumbered. In fact, they vastly outnumbered the opposing force. “And the chairman of the Joint Chiefs of Staff, General Martin Dempsey, said they were not driven, the Iraqi army was not driven out of Ramadi. They drove out of Ramadi. “They aren’t a paper tiger. They’re a paper tabby cat…. “But I will say that there are 250,000 Iraqi troops. There are, by CIA estimates, up to 31,000 ISIS troops. In 2010, President Barack Obama announced the withdrawal of American combat troops from Iraq. Prodding the Shiite-dominated government in Baghdad to reconcile with the nation’s Sunnis. The second goal is especially important. The Sunnis, a religious minority in Iraq, ruled the country for centuries until the United States drove Saddam Hussein from power in 2003. Now the Shiites are in control of Iraq, and they have been unwilling to grant political concessions to the alienated Sunnis. Baghdad has continued to work closely with Shiite militias backed by Iran. In turn, the Sunnis have become a source of manpower and money for ISIS. America’s relationship with Iraq has become eerily similar to the one it had with South Vietnam from 1955 to 1973. And that relationship led the United States into the most divisive war in its history since the Civil War (1861-1865). Kim Jong-Un: Secretive, ruthless, egomaniacal, erratic at best, certifiably insane at worst. Commanding the world’s fourth-largest army–and a growing arsenal of nuclear weapons. Given a lack of CIA “assets” within North Korea, the United States government has been forced to accept any scraps of reliable information it can get on Kim’s regime. As a result, the White House, Pentagon and State Department may be forced to turn to another source in predicting Kim Jong-Un’s coming moves–and fate. His name: Gaius Suetonius Tranquillus–better known as Suetonius. Suetonius, a historian and citizen of ancient Rome, chronicled the lives of the first twelve Caesars of imperial Rome: Julius Caesar, Augustus, Tiberius, Caligula, Claudius, Nero, Galba, Otho, Vitellius, Vespasian, Titus and Domitian. His compilation of these biographies, The Twelve Caesars, is still available today. Gaius Caligula was the fourth Roman to assume the title of Emperor and Caesar. His reign began in 37 A.D. and ended–violently–four years later. His full name was Gaius Julius Caesar Augustus Germanicus. “Caligula”–“Little Boots”–was a nickname bestowed on him as a child by his father’s soldiers. Accompanying his father, Germanicus, on military campaigns, Gaius often dressed up as a soldier to “drill” the troops, who loved his enthusiasm for military life. Tiberius, the third Roman emperor, adopted Germanicus as his heir, and many Romans considered him as Rome’s Alexander the Great because of his virtuous character and military prowess. There was widespread hope that he would succeed Tiberius when the emperor died. But Germanicus died first, under mysterious circumstances. Some blamed illness, others believed he had been poisoned. Tiberius was widely suspected of having murdered a potential rival. And few mourned when Tiberius himself died in 19 A.D. Upon Tiberius’ death, Caligula became emperor. The Romans welcomed his ascension due to their memory of his father, Germanicus. His reign began well. He recalled those who had been banished from Rome by Tiberius, and publicly announced that “he had no ears for informers,” according to Suetonius. He allowed judges unrestricted jurisdiction, without appeal to himself. To lighten the duties of jurors, he added a fifth division to the previous four. He also tried to restore the suffrage to the people by reviving the custom of elections. He completed the public works which had been half-finished under Tiberius: the temple of Augustus and the theatre of Pompey. But then Caligula underwent a change in character. Suetonius claimed that he suffered from an affliction that made him suddenly fall unconscious. The historian believed that Caligula knew that something was wrong with him. Eventually, he came to believe himself divine. Without warning, he ordered one of his soldiers to execute his brother Tiberius. He drove his father-in‑law, Silanus, to commit suicide by cutting his throat with a razor. Tiberius’ “crime” had been Caligula’s suspicion that he had taken an antidote against poison. “There is no antidote against Caesar!” Caligula is said to have raged. In fact, Tiberius had taken medicine for a chronic cough. Silanus died because he had not followed Caligula when he put to sea in stormy weather. Caligula believed he had remained behind hoping to take possession of Rome if he perished in the storm. Actually, Silanus suffered from sea-sickness and wanted to avoid the discomforts of the voyage. When his favorite sister, Drusilla, died, he announced a season of public mourning, making it a capital crime to laugh, bathe, or dine with one’s parents, wife, or children. Having violated his sisters, he eagerly violated the wives of others. At one wedding, he ordered that the bride be taken to his own house, and within a few days divorced her. Two years later he banished her, suspecting that she had returned to her former husband. Objecting to the expense of cattle to feed wild beasts for a gladiatorial show, he selected criminals to be devoured. On other occasions, he shut up the storehouses for threshed grain and condemned the people to hunger. “Let them hate me, so long as they fear me,” he often said. But he ignored the truth that hatred can override fear. Just this happened among several members of his own security force, the Praetorian Guard. Caligula had repeatedly mocked Cassius Chaerea, one of its officers, for his weak voice, and assailed his masculinity. On January 22, 41 A.D., Chaerea and other guardsmen attacked Caligula in an underground corridor of a gladiatorial arena and repeatedly stabbed him to death. Upon hearing reports that Caligula was dead, Romans hesitated to rejoice, fearing that he had started the rumor to discover who wanted him dead. If history truly repeats itself, Kim Jong-Un has good reason to be afraid. Officials at the Pentagon and State Department constantly scramble for information that will enable them to penetrate the designs of North Korean dictator Kim Jong-Un. And with good reason: His country possesses nuclear weapons, and is headed by a leader who’s erratic at best and certifiably insane at worst. He’s the third Kim to rule North Korea since 1948. The first was his grandfather, Kim II-sung, who seized power and ruled absolutely until his death in 1994. His ordering the invasion of South Korea in 1950 provoked American intervention and ignited the Korean War (1950-1953), which ended in stalemate. He was succeeded by his son, Kim Jong-il, who ruled from 1994 to 2011. His regime was marked by widespread famine, partially due to economic mismanagement, suppression of human rights and the export of state terrorism. As was the case with his father, Kim Jong-il’s reign ended only with his death in 2011. He was immediately succeeded by his son, Kim Jong-Un. Born on January 8, 1983, Kim Jong-Un owes everything to an act of genetics–his being the son of an absolute dictator. Presidium member of the Politburo of the Workers’ Party of Korea. On December 30, 2011–only 13 days after his father died–Kim Jong-Un was formally appointed as the Supreme Commander of the Korean People’s Army. In April, 2012, the Fourth Party Conference named him to the newly-created post of First Secretary of the Workers’ Party of Korea. He was promoted to the rank of Marshal in the army in July, 2012. It’s known, for example, that he is a man of immense egomania. Following his father’s death, the cult of personality around Kim Jong-Un’s went into high gear. In 2013, Kim was named the world’s 46th most powerful person by the Forbes list of The World’s Most Powerful People. This derives from his commanding the fourth-largest standing army in the world–and an arsenal of nuclear weapons. On March 7, 2013, North Korea threatened to launch a “pre-emptive nuclear attack” upon the United States. North Korea has outlined its plans for target American cities for nuclear strikes, including Washington, D.C., and Los Angeles. Then there are the purges–the motive for which may be Kim’s desire to erase all traces of his father’s rule. By the end of 2013, three defense ministers and four chiefs of the army’s general staff had been replaced. Among those purged was his uncle, Jang Sung-taek–who is thought to have been executed by machine gun. The nephew’s two sons, who were also reportedly murdered. On May 13, 2015, South Korea’s National Intelligence Service reported that Kim had ordered the execution of North Korea’s Minister of Defense, Hyon Yong Chol. The charge: Treason. And for “showing disrespect” to Kim by talking back to him and falling asleep at a military event. Chol was killed by anti-aircraft gunfire with hundreds watching at a shooting range at Pyongyang’s Kang Kon Military Academy in late April. Nor has this been the only major execution for 2015. Reports claim that earlier this year, Kim had ordered the execution of 15 senior officials for challenging his authority. Penetrating the secrets of a ruthless dictatorship is extremely difficult. And any information obtained can often be considered no better than gossip. Given these limitations, the White House, Pentagon and State Department may be forced to turn to another source in predicting Kim Jong-Un’s coming moves–and fate. Robert Benmosche, the CEO of American International Group (AIG) had some blunt advice to college graduates searching for work in a tight job market. And how did AIG “deal with” its own crisis? It went crying to its Uncle Sugar, the United States Government, for a bailout. The United States Federal Reserve Bank, on September 16, 2008, made an $85 billion loan to the company to meet increased collateral obligations resulting from its credit rating downgrade–and thus saving it from certain bankruptcy. Thus, the infamous line–”Greed is good”–in the 1987 film, Wall Street, turns out to be both false and deadly for all concerned. Midway through Stanley Kubrick’s 1987 Vietnam epic, Full Metal Jacket, there’s an editorial meeting of The Sea Tiger, the official Marine newspaper. The correspondents are discussing how best to portray America’s faltering efforts to win a war that most of the “grunts” have come to see as unwinnable. Lieutenant Lockhart, who’s presiding, wants his reporters to make some changes in the way they report the war. CHILI: I’ll make a note of it, sir. That’s good, Dave. But why say “North Vietnamese Army regular”? Is there an irregular? How about “North Vietnamese Army soldier”? DAVE: I’ll fix it up, sir. LOCKHART: “Search and destroy.” Uh, we have a new directive on this. In the future, in place of “search and destroy,” substitute the phrase “sweep and clear.” Got it? JOKER: Got it. Very catchy. LOCKHART: And, Joker–where’s the weenie? LOCKHART The Kill, Joker. The kill. I mean, all that fire, the grunts must’ve hit something. LOCKHART Joker, I’ve told you, we run two basic stories here. Grunts who give half their pay to buy gooks toothbrushes and deodorants–Winning of Hearts and Minds–okay? And combat action that results in a kill–Winning the War. Now you must have seen blood trails … drag marks? JOKER: It was raining, sir. LOCKHART: Well, that’s why God passed the law of probability. Now rewrite it and give it a happy ending–say, uh, one kill. Make it a sapper or an officer. Which? LOCKHART Grunts like reading about dead officers. JOKER Okay, an officer. How about a general? LOCKHART Joker, maybe you’d like our guys to read the paper and feel bad. I mean, in case you didn’t know it, this is not a particularly popular war. Now, it is our job to report the news that these why-are-we-here civilian newsmen ignore. Kubrick’s film is set in the South Vietnam of 1968. This was a war where military newspapers like Stars and Stripes offered a gung-ho, all-systems-go version of constant American progress against a tough enemy. And where civilian reporters like David Halberstam and Walter Cronkite saw the war for what it was and labeled it a brutal, wasteful and ultimately doomed effort. Now, 47 years after the events depicted in Full Metal Jacket, the Obama administration wants to censor the American news media as the military censored its own. The President wants the media to stop using footage from the Islamic State of Iraq and the Levant (ISIL) during newscasts. “We are urging broadcasters to avoid using the familiar B-roll that we’ve all seen before, file footage of ISIL convoys operating in broad daylight, moving in large formations with guns out, looking to wreak havoc,” Emily Horne, a spokeswoman for the State Department, told Politico. The “B-roll” is stock footage that appears onscreen while reporters/commentators talk. It’s the stuff that keeps an audience watching the newscast, even if they ignore what’s being said. “It’s inaccurate–that’s no longer how ISIL moves,” she added. Since August, 2014, the United States and its allies have dropped thousands of bombs on ISIL–especially on its convoys–in Iraq and Syria. As a result, claim U.S. officials, ISIL can no longer mass its forces in daylight–or move in large convoys. Such large concentrations can be easily spotted–and attacked–from the air. So how would the Pentagon like ISIL to be portrayed in file footage? “One Toyota speeding down the road by itself at night with its headlights off,” said Pentagon spokesman Colonel Steve Warren. Warren added that some of the B-roll the networks are using comes from propaganda videos made by ISIL. Senior State Department and Pentagon officials have begun contacting television network reporters to suggest news sources switch to using more U.S.-friendly videos, such as Iraqi army soldiers being trained, or footage from coalition airstrikes. When contacted by Politico for comment, ABC, CNN, Fox and NBC refused to comment. Covering how Americans behave in war has proven a challenge for American news media since the Vietnam conflict. In 1966, New York Times reporter Harrison E. Salisbury was allowed to enter North Vietnam to cover the war from their perspective. His reports of heavy American bombing raids and their resulting civilian casualties and infrastructure damage provoked national controversy. Officials of the Johnson administration charged Salisbury with “aiding and abetting the enemy” by reporting North Vietnamese claims of loss. Salisbury–and the Times–replied that of course they were reporting what North Vietnamese officials were saying. That was why he was there–to get the other side’s point-of-view. So long as freedom of the press exists in reality as well as theory, there will always be tension between those who want to report the news–and those who want to censor it.